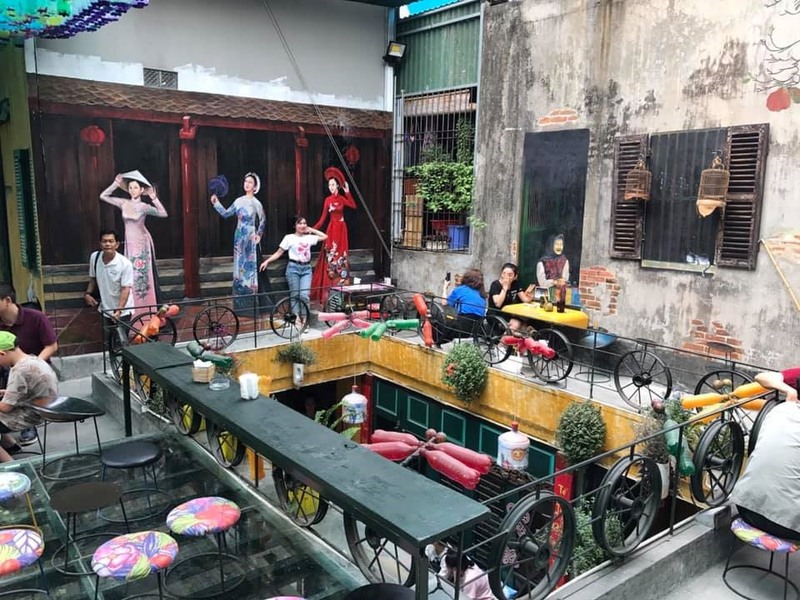 The Old Quarter of Hà Nội has many interesting surprises hidden down narrow lanes and in tiny houses where you can find a fresh taste of tranquility away from the busy streets. Delicious food made from family recipes handed down for several generations that cannot be found anywhere else in the country, a charming room for rent or a quaint cafe are all there to be discovered, if you know where to look! 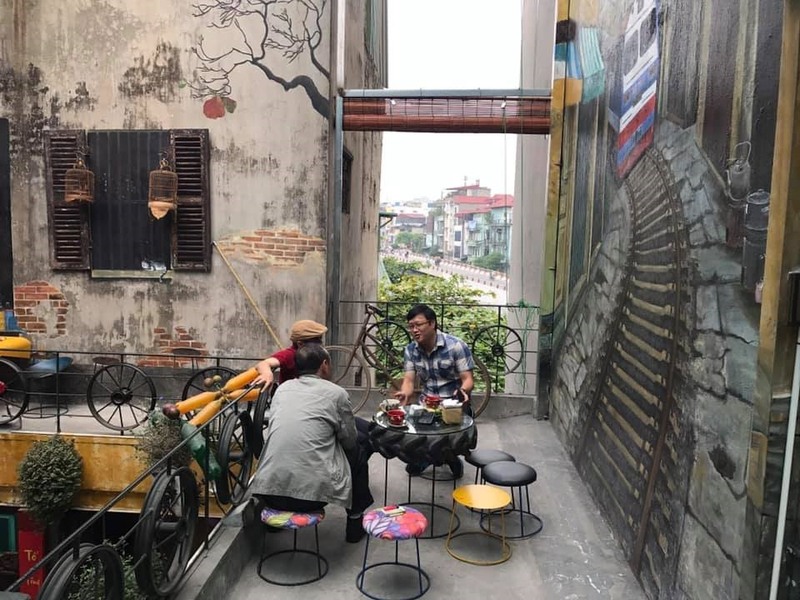 Hidden Gem Cafe on Hàng Tre Street is one such destination. Opened just three months ago, the cafe is luring more and more people, mostly youngsters, who want to relax in an unique space. Located down a deep lane, the four-storey cafe may not serve anything different to any of the hundreds of others that can be found in the area, but the décor and recycled materials used to kit out this haunt are what makes it stand. Many old objects including metal, plastic, glass, paper and ceramics have been used. Parts of an old tractor, wheels, buckets and motorcycles have all been converted into furniture. Impressive frescos add to the reasons why the cafe has become a popular check-in address. 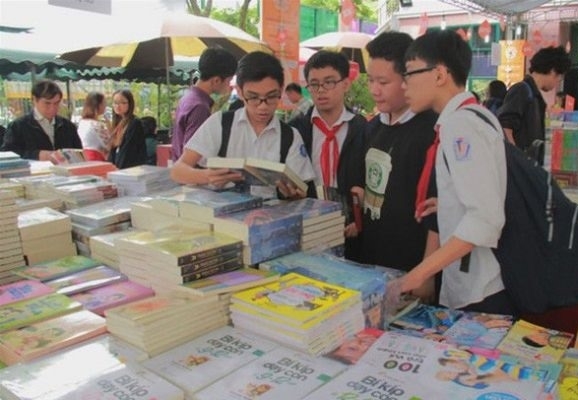 “Every corner contains a secret that needs to be explored,” student Phạm Khánh Linh told Việt Nam News. 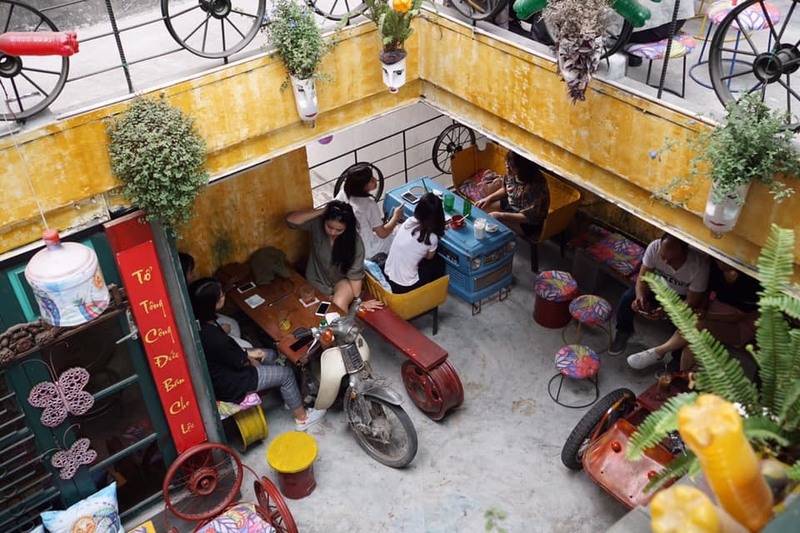 Linh prefers to sit on the top floor of the cafe to enjoy the fresh air and tranquil atmosphere while watching the vehicles buzzing about on the streets below. “I've found a place to slow down from the hustle and bustle,” she said. 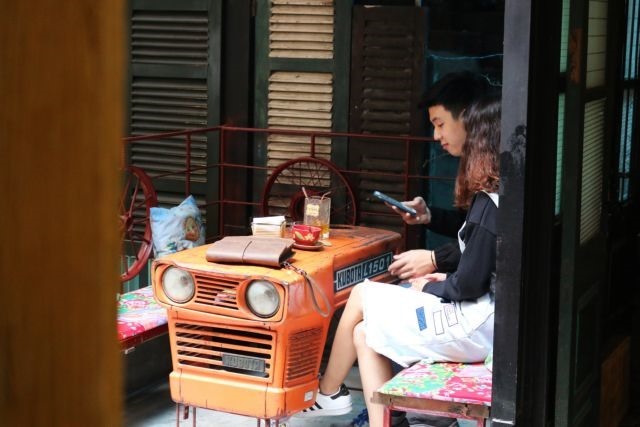 Owner Nguyễn Anh Thơ said he had started the cafe due to his concerns about the environment. Many of his family members and relatives have passed away due to cancer as a result of pollution in his homeland, Văn Môn Commune, Yên Phong District, Bắc Ninh Province. “I remember when I was small, everything was quite different,” he said. “People could drink water from the river in my hometown. We threw very little rubbish away, and old furniture was recycled or reused for other purposes. Thơ, who has been working as a tour guide for 13 years now, revealed that he was embarrassed many times when he took foreign tourists to the beaches. No one dared to swim in the sea. “Many foreigners told me: Your country is beautiful. But there is too much rubbish everywhere. You should do something,” Thơ said. Thơ said he travelled to the outskirts of the city to gather special old things to be used as furniture or decorations for the cafe. 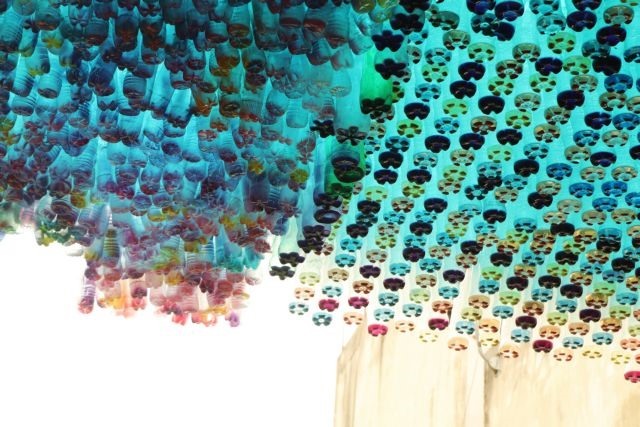 Thơ said he spent much of his time making “hanging flowers” from old bottles. Thơ has also been an active environmentalist. 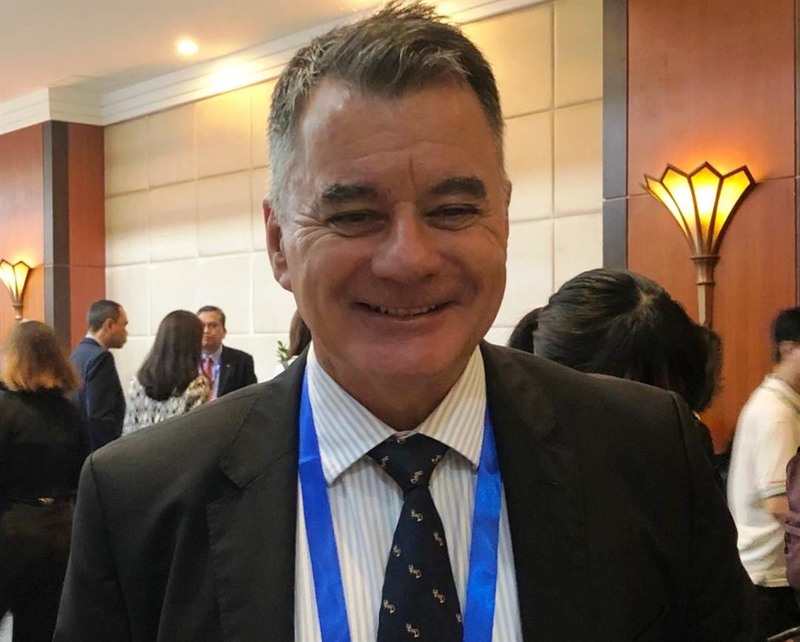 He has taken part in clean-up work on the Hồng (Red) River and is planning to collect plastic bottles and fill them with sand to make “eco bricks” and then build a public toilet for needy people residing on the island under Nhật Tân Bridge next month. He encourages his customers to gather things to recycle like plastic and glass bottles and give them to him in return for a discount on drinks. “I want people to understand that we can turn rubbish into a natural resource by recycling,” he said. He is also willing to share his experience of making things from recycled materials with others.